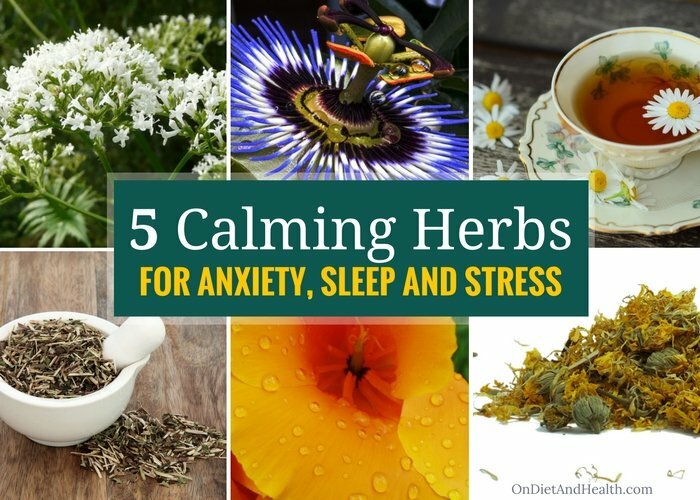 Here are my favorite herbs for anxiety, sleep and stress. Use these herbs separately or in combinations. Get to know them individually and take them frequently, even daily. Because we are STRESSED in the modern world…. Too many sensory inputs, and task overload! Wireless radiation, noise pollution, artificial light, traffic, alarms, text alerts and rushing are all perceived as dangers (stress) by our ancient nervous systems. We evolved to be alert to any change in our environment, as any change could be fatal. We’re on permanent alert! We can’t sleep, we feel anxious and we struggle with ADD. Bottom line: we need to soothe our brain and nerves to let them know we’re not in danger. Only in safety can we sleep, heal, laugh and enjoy life. Passion Flower is the most popular herb in my clinic and online store. Passion Flower is particularly good when you’re “tired but wired”, unable to shut down the mind or body. Passion Flower boosts your brain’s production of GABA – our main calming neurotransmitter. GABA helps with pain, muscle tension, overly rapid thinking, restless legs, anxiety, ADHD, anger, digestion and much more. Here’s a page with articles on GABA deficiency. 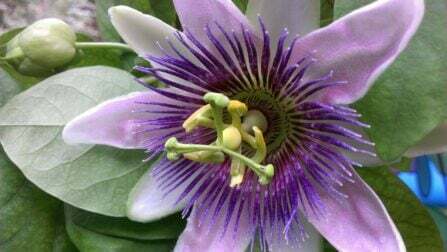 I also have many posts and podcasts on Passion Flower for sleep and anxiety. I carry this Passion Flower tincture in Glycerin in my online store and the same one in Alcohol here. You can find it in capsules but I prefer self-dosing the tincture. A full capsule might be too sedating during the day or too much for help getting back to sleep in the middle of the night. Passion Flower tea is a milder option. Any time, day or night. 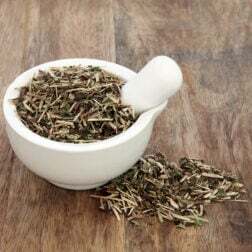 This is the King of herbs for anxiety, sleep, and relaxing the mind or body. It can be taken long-term without addiction and is safer than prescription anxiety drugs. Keep it in your purse, kitchen, your teen’s backpack and beside the bed. Dose 10 to 50 drops as needed, including at 3 AM when you wake up too early. Valerian is well known for its sedating properties. It has a strong smell and taste, so don’t buy the tincture. But if you need a good sleep, a capsule of Valerian is worth a try. Valerian can make you a bit groggy on arising, but the deep sleep it helps provide can be restorative. Try small doses at first by emptying out some of the capsule. Valerian Root is good for pain and muscle tension, and in smaller doses can help ADD and ADHD. It works on a different GABA receptor than Passion Flower and has complex properties we don’t fully understand. Here’s one brand of Valerian I trust. It contains Valerian Root extract in gel caps. Stick with premium herb companies and keep herbs tightly capped and in dark cabinets. Replace them at expiration date. 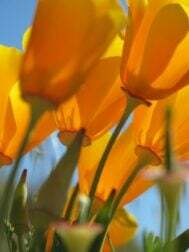 California Poppy has mild sedating and sleep-promoting action. It’s great for relaxing and mild anxiety and safe enough for children. It works with the GABA neurotransmitter, providing some of the benefits of prescription anxiety medicines without the fear of addiction or toxicity. California Poppy tea is milder than the tincture and great for stress support at work or school. It can help hypertension if taken daily. If you need help getting to sleep or staying asleep, take the tincture. It’s stronger. It won’t harm you, so experiment with the dose. Try 30-40 drops 2-3 times daily. Here’s a good brand, on Amazon. As with all 5 of these calming herbs, California Poppy combines well with others. They have different effects so experiment and mix and match your favorites. Chamomile has a long history of soothing the body, mind and tummy. The flowers provid e nervine support, working directly on the nervous system. 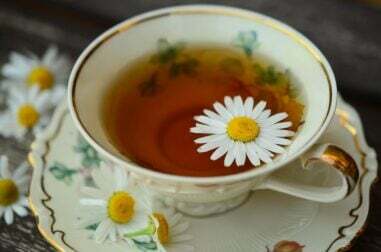 Chamomile can be taken as an extract, tea or tincture several times a day. It helps reduce the tensions of the day, making it easier to rest, sleep or focus. 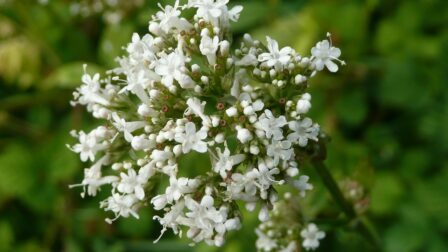 It won’t induce sleep like Valerian Root, so it’s safe enough to drink during the day or evening. Chamomile helps restlessness, colic and irritability in children and its mild taste and aroma are pleasant. Try adding a bit of organic fruit juice to make the taste and color your child prefers. If you’re severely allergic to Ragweed, don’t take Chamomile during Ragweed season. I find it’s not generally an issue for most people. I sell this professional strength Chamomile Extract here in my online store and clinic. It’s useful for heartburn, pain, colic, cramps, and so much more. Or try Chamomile tea for calming once or twice daily (here’s tea bags), or the tincture 30 drops 3 times a day. This one is alcohol-free. The extract works the best. Skullcap is well known for muscle tension and anxiety, particularly where you feel you h ave to move your body to get that tension out. 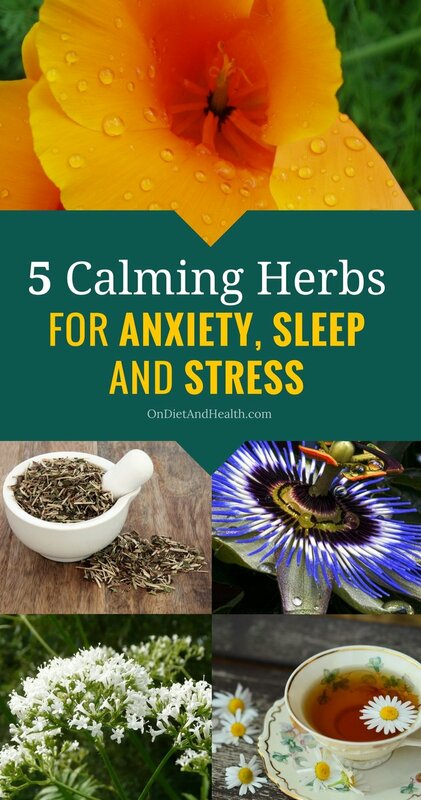 It helps tension headaches and is great for sleep. The tea, the tincture and the capsules all work. In general, I prefer tinctures for flexibility with dosing. These calming Skullcap flowers are a different species than the Skullcap root used in Chinese Medicine. You might see the root used for infections, bleeding or Hepatitis. The Skullcap you’ll find here or at the store will be the common species Scutellaria lateriflora used for anxiety. Skullcap can have a bitter taste, but the effects are worth it! In addition to Passion Flower in Glycerin or in Alcohol, I carry Systemic Formulas N3-Relaxa and DREM. N3-Relaxa includes Passion Flower, Valerian, Blue Vervain and Tryptophan. I first used it in 1987 for my anxiety and insomnia. It’s been a good friend! Systemic Formulas DREM has Valerian, Passion Flower, St. John’s Wort, Kava Kava, Tryptophan and a small amount of Melatonin. It’s a comprehensive product and works well. NOTE: Pregnant women should avoid all herbal compounds unless professionally prescribed.